All systems are go for another voyage in the Baseball Time Machine. We took our first journey a while ago, remember? Got it? All right, then. Cinch those harnesses tightly around yourself. No one ever said it better than the magnificent Bette Davis, in All About Eve: “Fasten your seat belts. We’re in for a bumpy ride.” Today we fly with the Georgia Peach. Tyrus Raymond Cobb was born December 18, 1886, in a remote and extremely rural area of the mountainous region of northeastern Georgia known as The Narrows. He was the eldest child of the local schoolmaster and his 15-year-old wife, who had likely been one of his students. Though not wealthy, the family was well known and respected in the local community; in the years to come, Ty’s father (“Professor” Cobb) would be elected mayor of his small town, and then to the Georgia state legislature. The Professor was stern and demanding, intimidating his young wife and children. Young Ty was bright, but didn’t have much interest in schoolwork — much to his father’s frustration. Instead, the boy exhibited tremendous energy and aptitude in any number of physical and athletic endeavors, including baseball. By the time he was a teenager, Ty was the star performer in local weekend semi-pro ballgames, an activity Professor Cobb allowed with reluctance. Even at that age Ty displayed an extreme competitive intensity and insatiable drive to perfect his baseball skills; it seems clear that young Ty was deeply motivated to prove his worth and earn his father’s approval — yet to do so on his own terms. Toby Raymond Cobb was born December 18, 1966, in the small town of Baldwin, Georgia. He was the eldest child of a History Professor at a local junior college and his 19-year-old wife, who had recently been one of his students. Though of middle class means, Professor Cobb’s academic career gave the family some social status; in the years to come, the Professor would be elected to the local Junior College board, and would sit on the Governor of Georgia’s State Education Commission. The Professor was domineering, and intimidated his young wife and children. Young Toby was bright, but much to his father’s frustration, didn’t make much of an effort to keep up his grades. Instead, the boy exhibited tremendous energy and aptitude in a variety of organized youth sports, including Little League baseball. By the time he was a teenager, Toby was the All-State center fielder of his high school baseball team, an activity his father viewed with disdain. Even at that age Toby displayed an extreme competitive intensity and insatiable drive to perfect his baseball skills; it seems clear that Toby was deeply motivated to prove his worth and earn his father’s approval — yet to do so on his own terms. The 17-year-old Ty wasn’t fully grown – he was about 5-feet-10 and 150 pounds – and his skills were quite raw. He showed blazing speed but little else for Augusta; after playing in just two games, Ty was released. Bitterly disappointed, but challenged by his father to not “come home a failure,” Ty hooked on with with a team from Anniston, Alabama, in the semi-professional Tennessee-Alabama League for the next three months. Then in the late summer, Augusta invited him back, and he played out the season there, batting a meager .237 in 37 Sally League games. But by the following spring, Ty had grown another inch or two, and was getting stronger. With Augusta in 1905 he developed into a star, leading the league in batting average, and dazzling everyone with his speed and fierce baserunning. It appeared he would be able to show his father that he wasn’t a failure after all. But in early August, the 18-year-old received a telegram with the worst possible news: his father had been shot to death. He grabbed the next train home, and upon arriving received an even greater shock: it was Ty’s mother who had pulled the trigger. The shooting was a mysterious incident, with ambiguous circumstances and overtones of infidelity. Ty’s mother would be tried for voluntary manslaughter, though she was eventually acquitted. 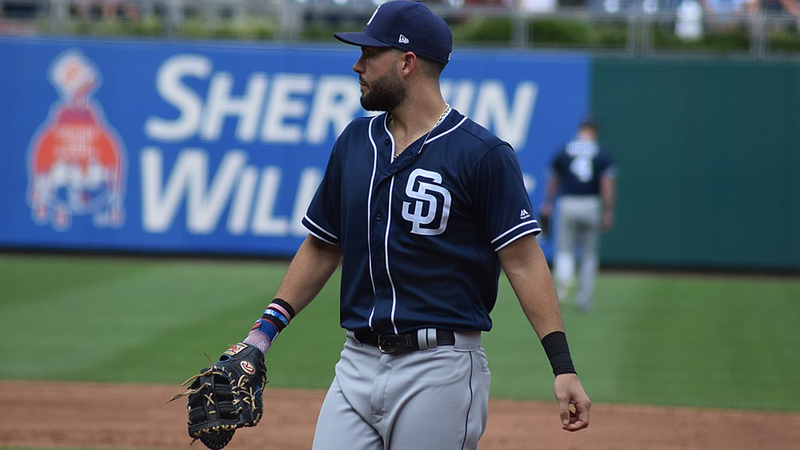 Less than three weeks after his father’s death, Ty’s contract was purchased by the Detroit Tigers, and he was a major leaguer at the age of 18. His performance for the Tigers in 41 games and 150 at-bats over the remainder of the 1905 season was inauspicious – he hit .240 – but he wouldn’t have been in the majors with such rudimentary experience if he hadn’t been an extraordinary prospect. He had one brilliant physical tool – blinding speed – and he was tall (he would eventually reach 6-feet-1, taller than average for the era) and strong (175 wiry-muscled pounds), with a good arm, and a smooth, well-balanced stroke that sprayed line drives to all fields and generated significant power. Most impressive about him, of course, was his blazing intensity: he was an athlete who was never satisfied, who sweated for every conceivable edge for himself and his team. That was the good news. The bad news was that the young, immature, and unsophisticated Ty had no social skill whatsoever. Teammates quickly came to hate him. In 1906 Ty hit .316 and gave every indication of being an emerging star, but emotionally he was a mess. He missed most of the second half, suffering symptoms that in a later era would have been called a nervous breakdown. But in 1907, at 20, Ty had a breakthrough season. While he would never become popular or peaceful – fights, disputes, and controversies would recur throughout his life – beginning in 1907 he was generally able to channel the hottest of his intensity into the games themselves. That year he became a superstar, leading the league in hits, RBIs, and batting average. The 17-year-old Toby wasn’t fully grown – he was 5-feet-11 and 155 pounds – and his skills were quite raw. He showed blazing speed but little else for Bristol. Challenged by his father to not “come home a failure,” Toby struggled through a lonely and difficult summer in which he hit .207. But by the spring of 1985, Toby was over 6 feet tall, and was filling out a bit more. The Tigers assigned him to Lakeland in the Class-A Florida State League. As the season progressed he developed into a star, among the league leaders in batting average, dazzling everyone with his speed and aggressive baserunning. It appeared he would be able to show his father that he wasn’t a failure after all. Then in early August of 1985, the 18-year-old Toby got a phone call with the worst news of his life: his father had been shot to death. He grabbed the next plane home, and upon arriving received an even greater shock: it was Toby’s mother who had pulled the trigger. The shooting was a mysterious incident, with ambiguous circumstances and overtones of infidelity. Toby’s mother would be tried for voluntary manslaughter, though she was eventually acquitted. If Toby was already driven by a need to measure up to his father’s high expectations, this tragedy sealed the deal. Forever forward, Toby’s abiding ambition would be even further intensified. It would be a matter of upholding the family’s reputation at a time when scandal and suspicion hung over it. The Tigers’ organization offered Toby to take the remainder of the 1985 season off in the wake of his father’s death, but Toby insisted upon returning to Lakeland to finish out the last few games of the season. Even though he was extremely young and inexperienced, Toby was an extraordinarily highly regarded prospect. He had one brilliant physical tool – blinding speed – and he was tall (he would eventually reach 6-foot-2 1/2) and strong (185 wiry-muscled pounds), with a good arm and a smooth, well-balanced stroke that sprayed line drives to all fields and generated good power. Most impressive about him, of course, was his extraordinary competitive intensity: he was an athlete who was never satisfied, who sweated for every conceivable edge for himself and his team. That was the good news. The bad news was that the young, immature, and unsophisticated Toby proved to have no capacity at all to make friends and get along with his teammates, who generally hated him. In 1986 the Tigers promoted him to double-A Birmingham, and his play continued to dramatically improve, as he hit .316 and gave every indication of being a coming star. But emotionally, he was a mess; he spent much of the second half of the season on the DL after suffering a mental and physical breakdown, including treatment for acute anxiety and a bleeding ulcer. But in 1987 the 20-year-old’s remarkably rapid development continued. While he has never become a popular or peaceful individual – fights, disputes, and controversies have dogged his career, and he has been known to undergo psychiatric treatment on multiple occasions – beginning in 1987 he became generally able to channel his intensity into the games themselves. He started off that season promoted to the Tigers’ AAA affiliate Toledo, and tore the International League apart, leading the league in hits, RBIs, and batting average. In August, the Tigers, embroiled in a ferocious American League East pennant race, brought Toby up to the majors and installed him as their regular right fielder. He stepped in and did very well there, batting .293 with 5 homers in 41 games and 150 at-bats, helping the Tigers to the division title. The extremely high level of performance that Ty displayed in 1907 proved to be just a warm-up. He would improve further still, and sustain an amazing peak that would last into the early 1920s. He was the most dominant hitter for average in all of baseball history, and the hits he produced in extravagant abundance were very often for extra bases: he was not only by far the best on-base man of his era, but also among the very best RBI men. And at least as impressive as his hitting was his baserunning; in an era ablaze with base stealing, Ty was the fieriest of all, setting every modern stealing record and leaving all observers gasping for adjectives. Defensively, Ty was good but not great. No one considered him the fielding peer of a Tris Speaker or a Harry Hooper, but his speed, strength, and intensity allowed him to handle center field quite capably, deep into his thirties. He was year-in, year-out the best all-around player in baseball through the late 1910s. Ty remained a very good regular through 1924 – his age-37 season – and then still had enough left to contribute four additional years as a highly productive semi-regular, all the while putting in six full years as playing manager of the Tigers. Well before his long career was over, Ty was (rightly or wrongly) almost universally regarded as the greatest all-around baseball player of all time. Despite the tremendous accolades that Babe Ruth would garner, and despite all the changes in the game that followed, Ty’s name would regularly be presented by serious students of baseball as “best ever” until at least 30 or 40 years after he hung up his razor-sharp spikes. His popularity was never anything like that, however. Ty’s piercing intelligence and competence were never doubted by anyone who knew him, but the huge respect he earned was professional, not personal. He made and kept few real friends in his life. In his mid-70s he suffered a slow, painful death from cancer, wealthy and famous, yet bitter and very much alone. The impressive performance that Toby displayed as a rookie in 1987 proved to be just a warm-up. He would improve in all phases of his game, and reach and sustain a remarkable peak that has only begun to diminish in the last few years. He has been a tremendous hitter for average – a four-time batting champion, with a career average that remains over .320 – and he’s also hit for good power (over 20 homers 9 times), drawn 60-90 walks a year, and stolen over 450 bases in his career at a nearly 80% success rate. Defensively, Toby has been good but not great. There was some speculation that the Tigers might acquire a center field defensive specialist such as Gary Pettis to replace the aging Chet Lemon after 1987, but with Toby on board that never materialized. By the second half of 1989, Toby had assumed the regular center field job, and he would handle the position well, but without distinction. Since the mid-1990s he’s been mostly a corner outfielder, and lately he’s spent a fair amount of time at DH as well. He was unquestionably among the very best players in baseball during the 1990s (he was the AL MVP in 1991, and arguably could have been in 1990, 1992, and 1997 as well). But he left the Tigers as a free agent following the 1994 season in an acrimonious contract dispute, and has played for three other American League teams since, somewhat diluting his stature and image. All fans know his name, and everyone has an opinion about him (positive or negative), but most casual fans don’t comprehend just how great a player he has been – Toby is perhaps better known for his combative, tempestuous behavior than for his tremendous performance, and the hyperactive sports media of the modern era eagerly feeds the “Angry Toby” image. As his career approaches its conclusion, Toby remains something of an enigma. An obviously great player, hugely wealthy and famous, he has earned more notoriety than esteem. The acrid whiff of scandal that found him as a teenager has never really disappeared. … and we thank you for choosing ours! Hope you enjoyed this little excursion. We’ll take a ride again in a month or two. Our traveling companion next time will be Greg Ruth … cocktails will be available in the main cabin for four dollars, beer and wine for three dollars. We appreciate exact change! The primary source for information on Cobb I used was the marvelous Charles C. Alexander biography, Ty Cobb. Particularly for details on Cobb’s later life, the Alexander book draws from (and generously credits) the well-known Al Stump books.